Multi-part forms available in various sizes. 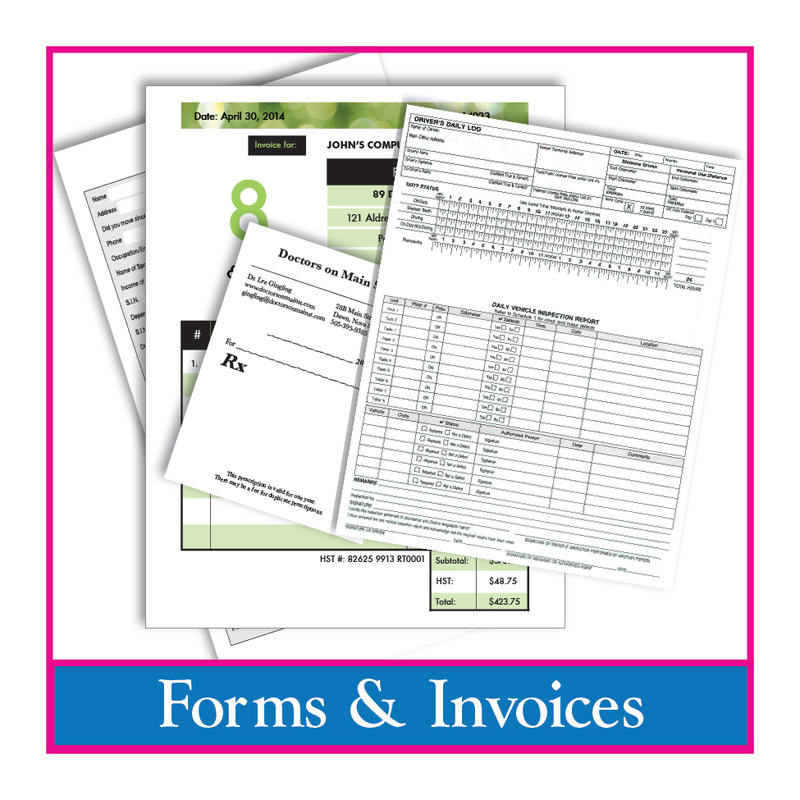 We offer receipt books, invoice forms or invoice books; loose or booked into 50 sheets per book for easy access. Let us customize your forms so they are unique to you! Customize your receipt books, invoice forms and invoice books so they are unique to you. You can order them loose or have them booked into 50 sheets per book for easy access.